We have all heard rental disaster stories. Houses are dirty, appliances do not work, the plumbing gives problems, or the landlord does not respond to calls for assistance. Careful attention to a few details in advance, however, can avoid such disasters and establish a great rental relationship. Here are questions to ask before you sign a contract to rent a house. • Is the house fairly priced? 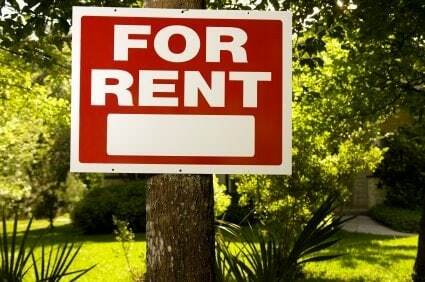 With the aid of the Internet, check out the rental charges for similar houses in the area. Match them with your needs to check whether the house is a good fit for you. Of course, not all houses are comparable. In some cases you may end up paying more (or less) for a particular house than you need to do. It may have better access to transport or shops, for example, yet you do not need such access. You might like a vegetable patch or you may prefer a house without any garden at all. • Are there hidden costs? Ask what the rent covers. You might find at the end of the first month that you are faced with bills that you did not anticipate. Are you responsible for paying the electricity and water bills, for example? It’s best to determine the full rental cost before you move in. It is not easy to move again in a short time. • Have you checked whether the house is thoroughly clean before you move in? If a house is not cleaned regularly, dirt can build up over time and becomes ingrained. Although it might appear at first glance to be clean, check crevices, particularly in the bathrooms and kitchen, watch for mould, and check for odors. • Are all appliances working correctly? Ascertain for yourself whether the refrigerator, stove, oven and dishwasher are all in good working order. You might find an appliance is giving trouble when you move in and it becomes difficult then to persuade the landlord to fix it. • Who will you call when things go wrong? If a landlord alone is handling the rental, chances are that when the toilet overflows the landlord is on holiday in another part of the country and cannot be reached. If the rental is in the hands of an agency, you have assurance that problems will be handled efficiently and appropriately. It also is a good idea to check out the agency’s reputation. • Is the accommodation right for you? If you are single, you probably do not want three bedrooms. Two bedrooms might be suitable as you can turn one into a study. If you are married with four children, you might not want to squeeze everyone into three bedrooms. In short, make sure you are not settling for too little room or that you are paying more for space you do not need. If you are looking for a house to rent that will suit your needs and will be properly managed, call us now at 01 4959020 or complete our contact form.